BACKHOME BioTec Slim Transponder by Virbac - BackHome® BioTec microchips can be read by all scanners conforming to the ISO standard. BackHome® transponder and implanter are provided inside a sterile transparent pack. Each tiny transponder capsule is made of highly resistant, biocompatible polymer (therefore perfectly tolerated by the animal). It is virtually unbreakable and up to 20% lighter than glass (therefore resulting in less risk of migration). VIRBAC offers 6 bar code stickers for each implanter, thereby enabling various uses (owner, veterinarian, file, vaccination record, card). The individual chip number is assigned only once in the world . Microchipping provides a swift, safe and permanent means of unique identification allowing an animal to be re-homed if it strays or is lost or stolen. BackHome BioTec microchips conform to ISO standard and come in a preloaded implanter. This implanter is provided in a sterile sachet, and each sachet contains a set of 6 barcode labels corresponding to the unique chip enclosed. The implanters are really easy to hold and use. They feature a no-return “click” system which ensures that the chip is not aspirated back into the needle after you have implanted it and before you withdraw the needle. Pets should be microchipped mid-line between the shoulder blades, but it does differ depending on the animal in question. Horses are generally chipped in the nuchal ligament and this aids for consistency of scanning – the leaflet enclosed with our microchips has information about the most appropriate implanting sites for turtles and other exotics. The microchips are quite small (about the size of a grain of rice) and are encased in a special bio-compatible polymer to prevent internal migration.The transponder implanted under the animal's skin has no energy and thus is completely inert. When stimulated by a scanner (which emits low-frequency radio waves), it is 'activated' (in fact, the transponder uses the energy from the scanner: this is known as induction technique). In turn, the transponder sends back a radio wave sensed by the scanner which shows the number that is inside the microchip on a liquid-crystal display… the whole process last only a few milliseconds! The scanner interprets the signal by converting binary data into decimal data and a code can then be read on the scanner display or a computer screen. 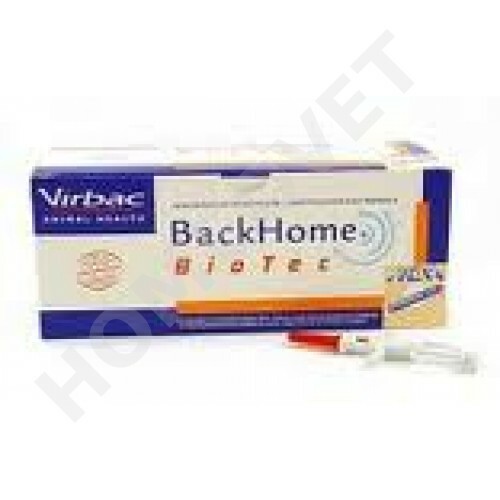 BACK HOME BioTech Slim transponder must be applied only by specially certified persons. (Veterinarian).